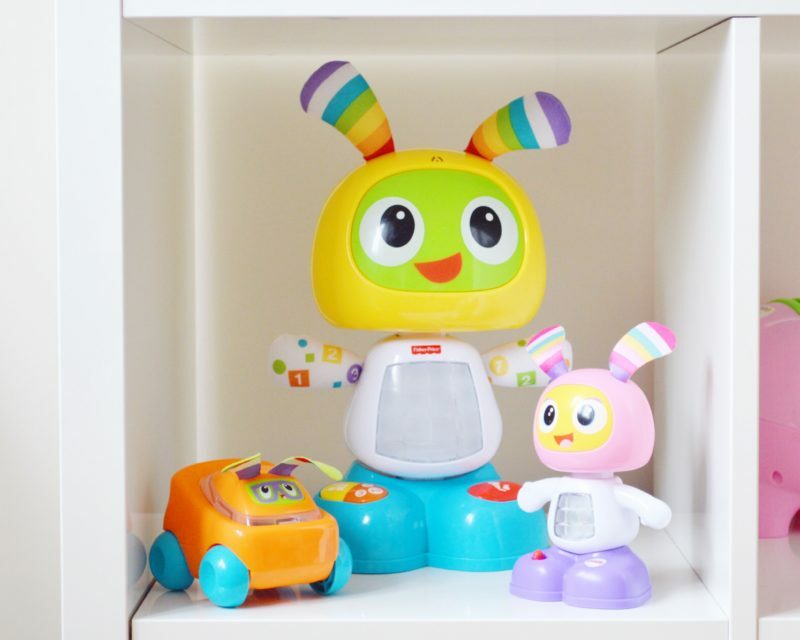 One of G’s Christmas presents from his Auntie was a Fisher Price Dance and Move Beat Bo, it quickly became one of his favourites. He loves pushing it’s belly and his older brother helps him by singing along when Beat Bo asks you too. It was my go-to toy to distract G so that I could have a few minutes to throw some clothes on before he tried to climb up my leg to be picked up. 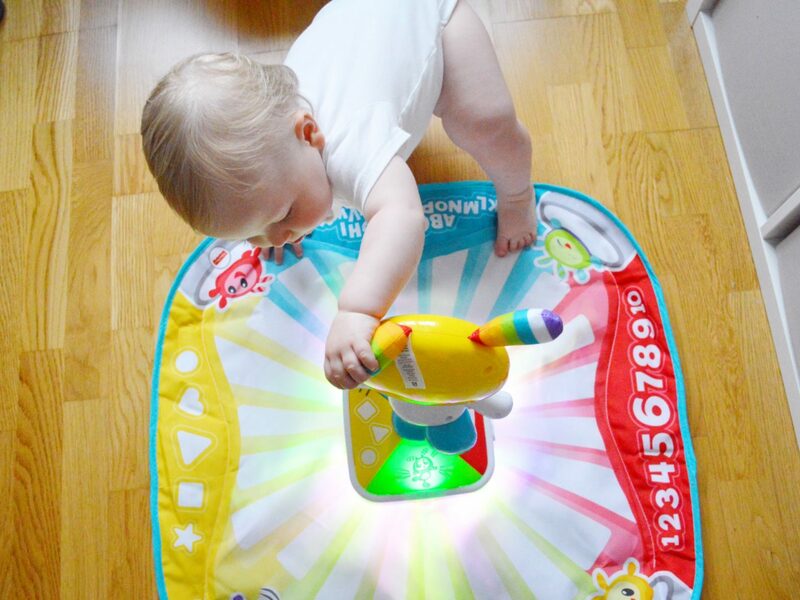 When we were asked if we wanted to review a few items from the Fisher Price Bright Beats range I was delighted, especially as I had had my eye on the Fisher Price Dance Mat and thought it would be perfect for a little boy who is thinking about trying to walk. 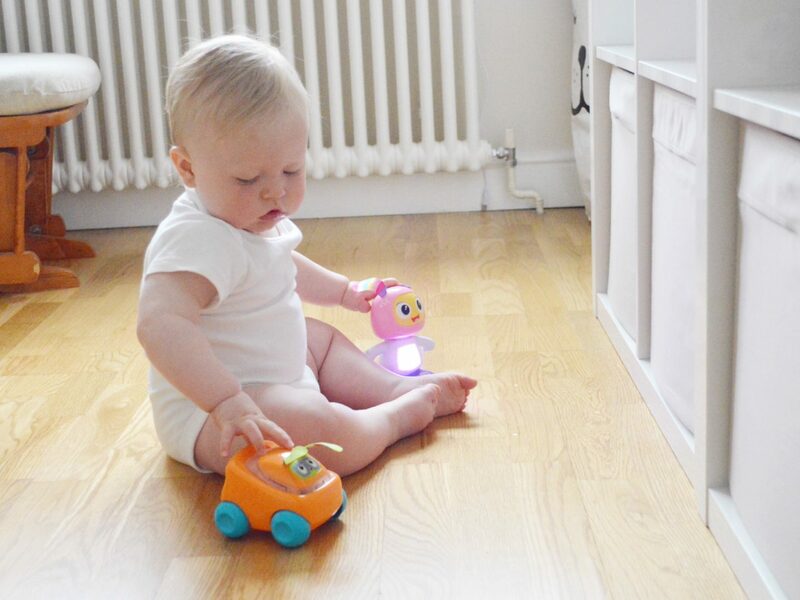 We were also sent one of the Beatbo Juniors and one Beatbo Buggies. I think it’s fair to say we are well set on the Beatbo front! The Bright Beat Junior was a huge hit. 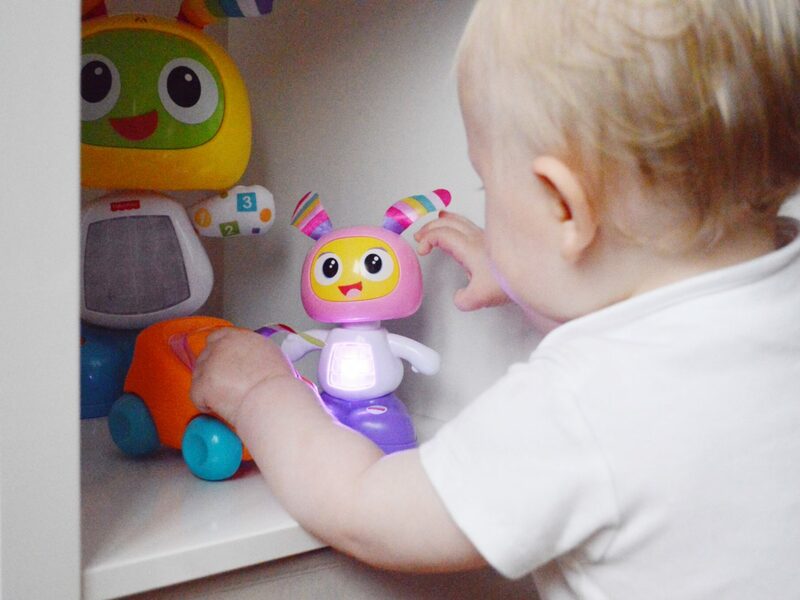 I liked that it was a mini version of the full size Beatbo making it very familiar to G and he loved that it was the perfect size for him to carry round in his hand. He quickly realised he could make it come alive with a knock to the head. My one criticism would be that it is described that it will spring into action with lights, music and dancing. 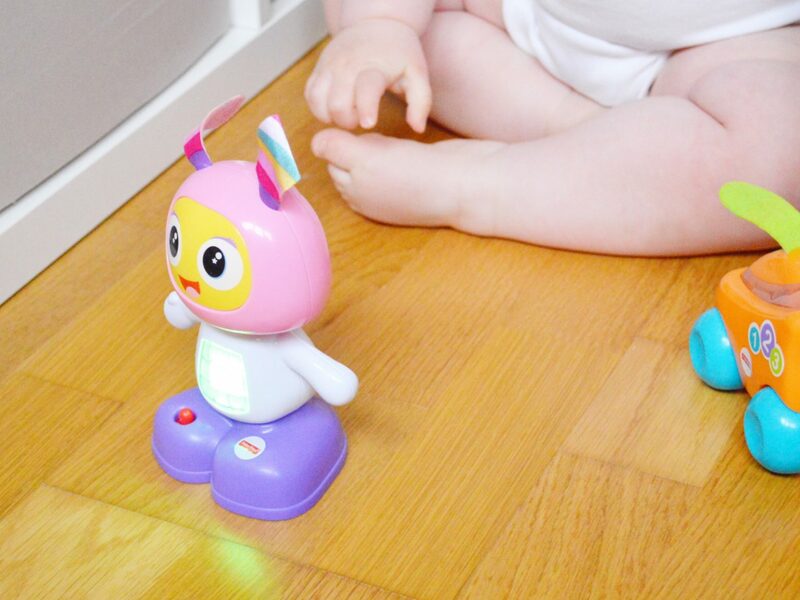 Whilst the lights and music are true, I wouldn’t say that the toy danced. Other than the head wobble it doesn’t really move and the head has to be pushed in order to move. It doesn’t distract from being a lovely toy but if you were expecting something similar to a dancing flower (remember them?) you would be a little disappointed. 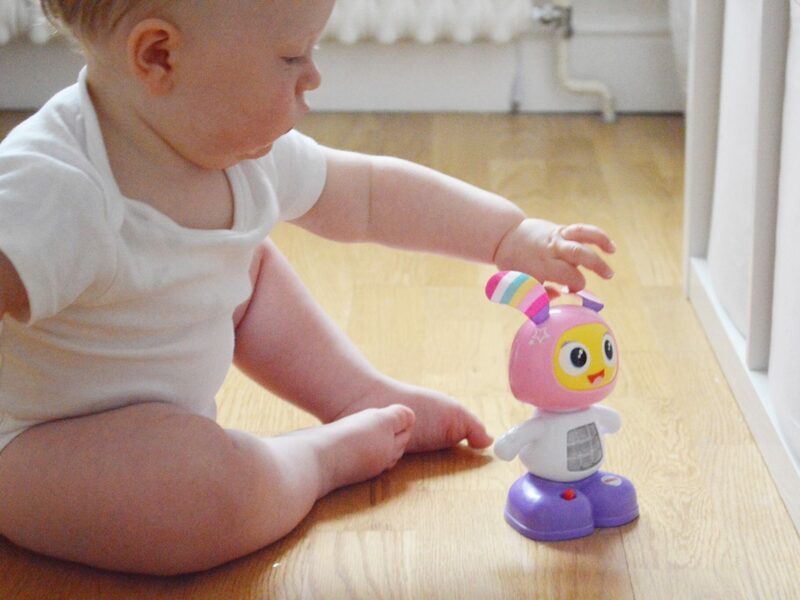 G’s favourite of the three toys was clearly the Beatbo Buggy. 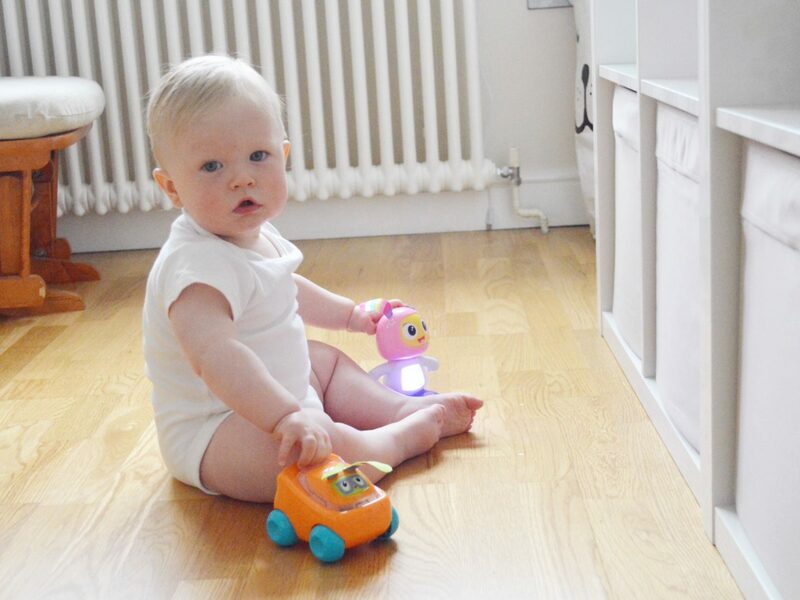 In recent weeks he has developed a love of toy cars and this ticked all his boxes. For some reason he likes a big car, the bigger the better, and whilst this isn’t huge it is big enough to feel chunky in his hands. 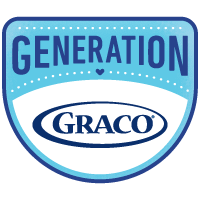 G is just starting to understand that he can make a toy speak or sing by pressing buttons and it take him long to learn how to make the car talk to him. One of his new favourite games is to try to send you a car and the buggy is a great toy to play this with. Both of these toys have fabric ears which make them really easy to be grabbed by little hands. G made full use of this feature and loved to play with them at the same time, usually with one in each hand. 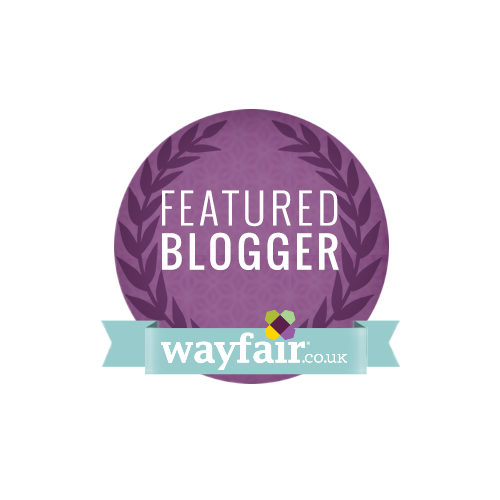 I had been so excited to review the dance mat. Like I said earlier for an almost walking baby I thought he would love it, but that doesn’t seem to have been the case. I have to admit I was a little disappointed when I unpacked the dance mat as I was expecting something bigger. 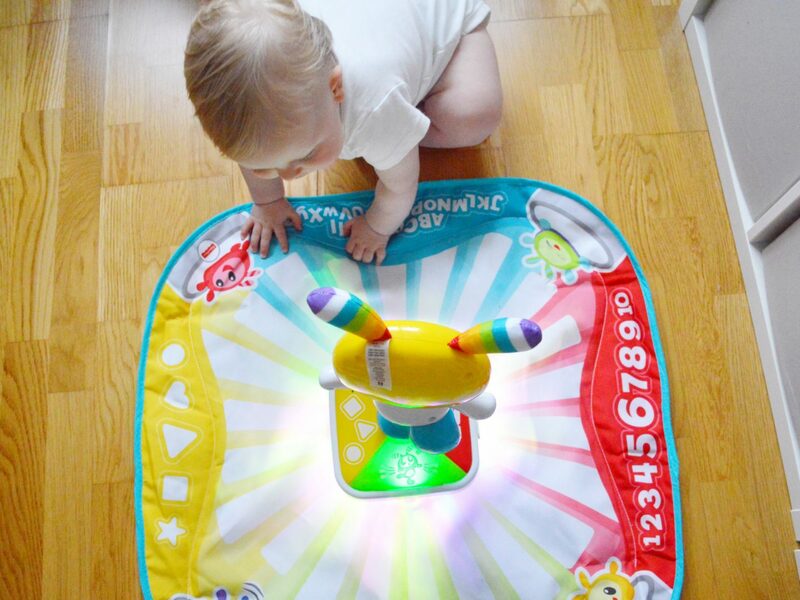 G isn’t a small baby and as it was advertised as a dance mat I wouldn’t say there would be any room for him to dance. The Beat Bo in the middle is on a small platform (which is inside the mat) to allow it to rotate but that does mean the mat doesn’t lie flat around the centre, which is really the only place that G would be able to dance as he would need to hold onto the central figure until he is steadier. Admittedly G has had a lot of new toys recently with his first birthday but whereas I thought this would really grab his attention he has barely given it a second glance. He has tried hitting the central buttons a few times with some encouragement from me but he would much prefer to play with the two smaller toys. 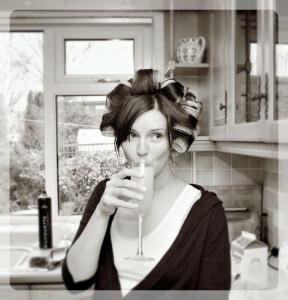 This was a product I really wanted to be a hit and sadly, it just wasn’t. 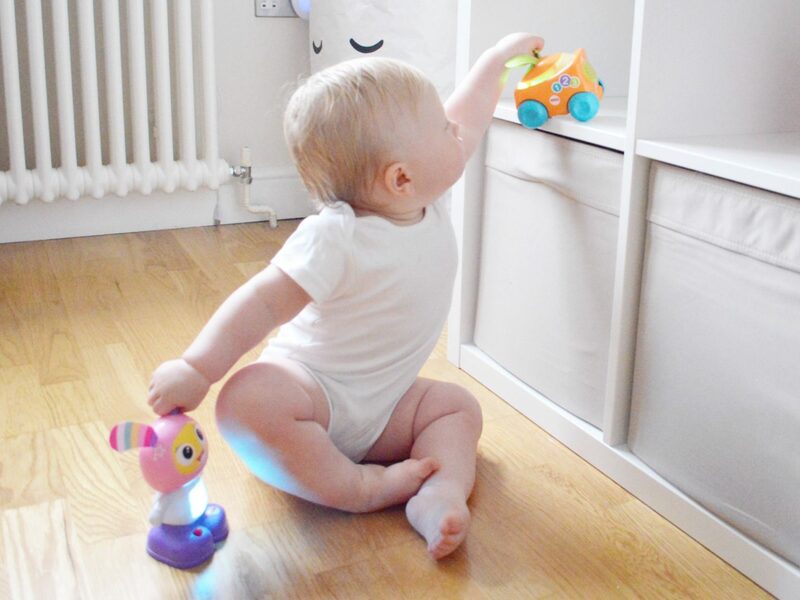 We are still Beat Bo fans, the original toy he received for Christmas is one he will always gravitate to and the Beatbo Buggy and the Beatbo Junior are lovely additions to this range, plus they are small enough to fit into your changing bag for when you are out and about. The lights and music that each toy makes certainly get G’s attention but unfortunately I think we’ll be packing the dance mat away. 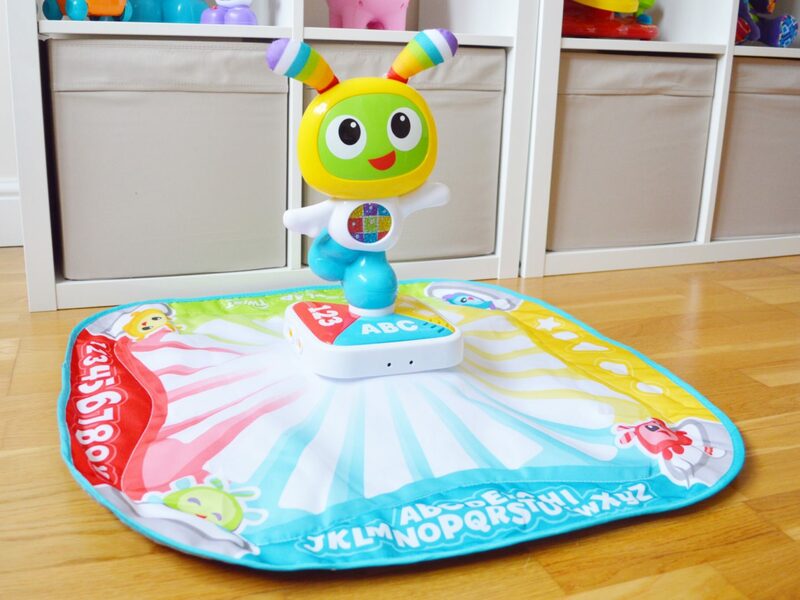 Disclosure: We were sent the dance mat, beatbo buggy and beatbo junior for the purpose of this review but all thoughts and opinions are my own, and G’s!